The crunchy is a unique edible type of spirulina about 5mm long noodle width. Heavenly variation on the traditional powder. Eat as a snack, sprinkle on your cereal, add into your salad. You won't be disappointed. 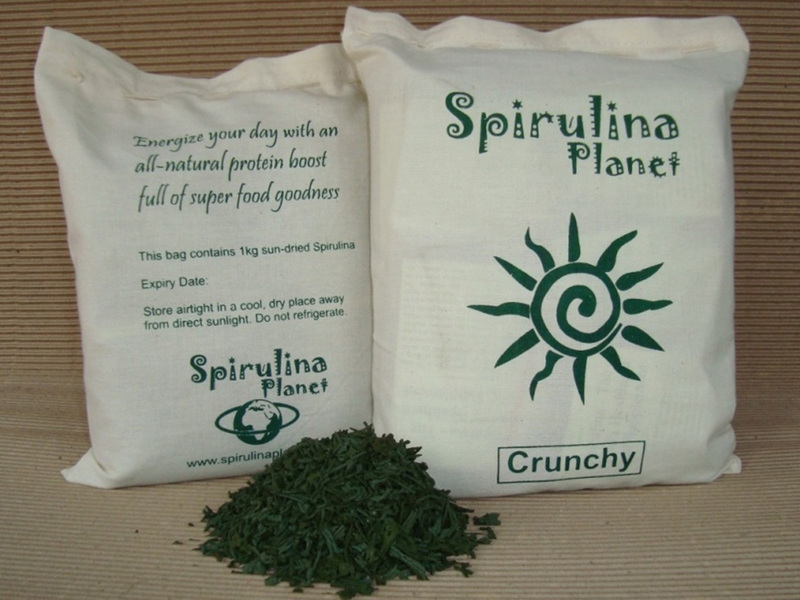 This bag holds ten 100 gms packages of spirulina crunchy. Save over 10% if compared with individual products. 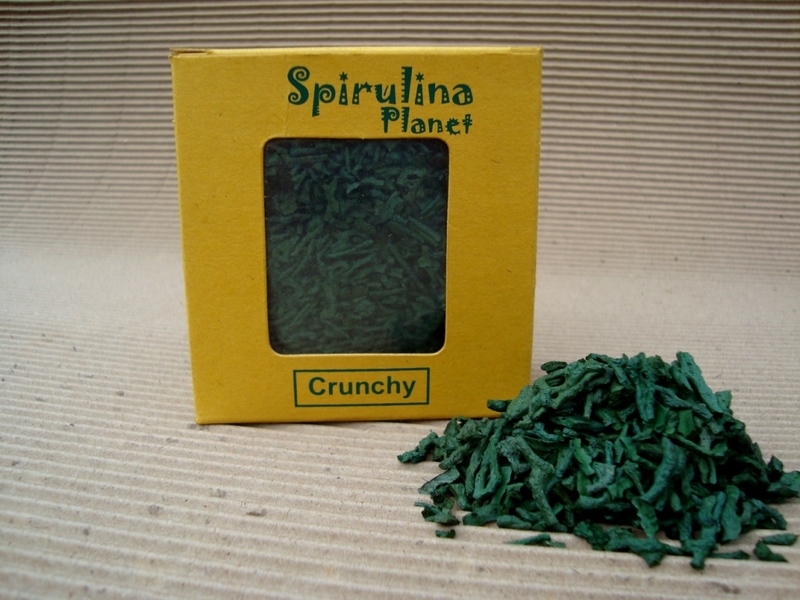 The crunchy is a unique edible type of spirulina about 5mm long noodle width. Heavenly variation on the traditional powder. Eat as a snack, sprinkle on your cereal, add into your salad. You won’t be disappointed. Unheated and suitable for those with a raw food diet. 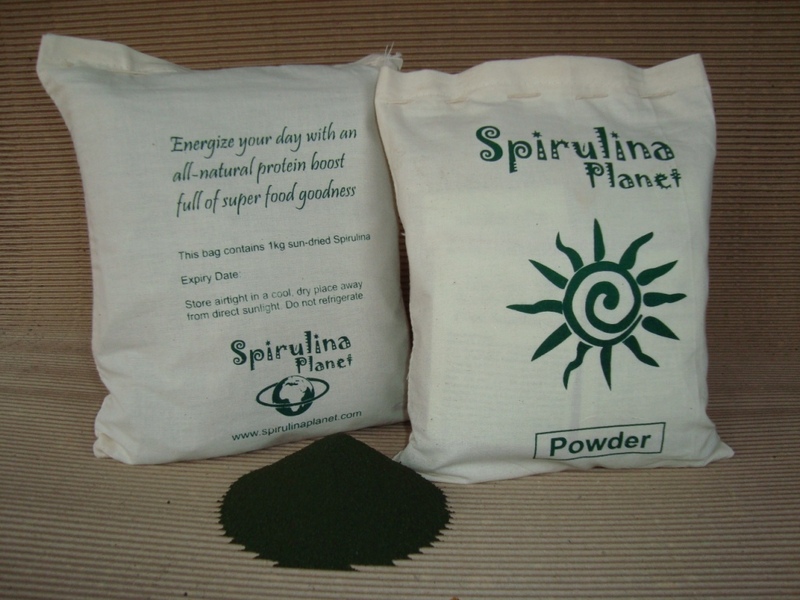 Common variety of spirulina. Very enjoyable in drinks, smoothies, yoghurt, and added to foods. Excellent for face masks too. Ideal for those who want to enjoy numerous health benefits of this superfood, but find the taste somewhat challenging. 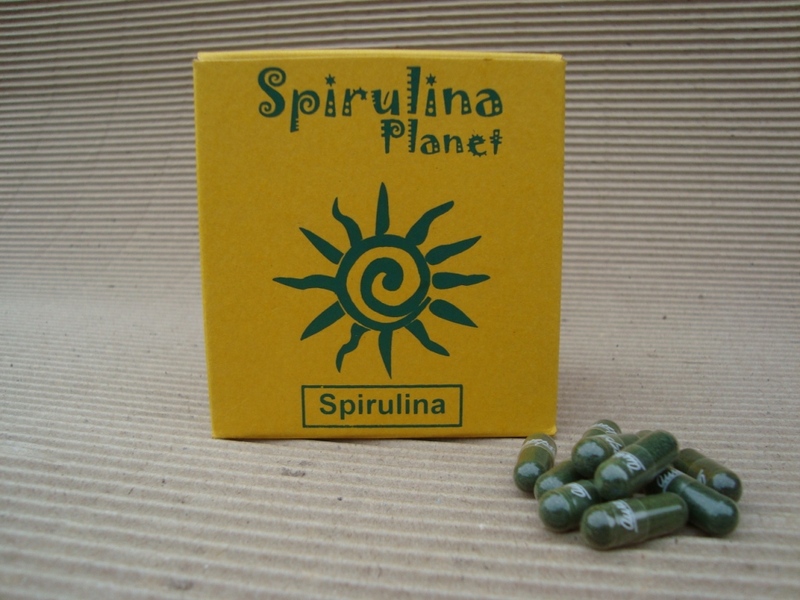 Each capsule contains 500mg of pure spirulina. Vegicaps are gelatin free. Unheated and suitable for those with a raw food diet. 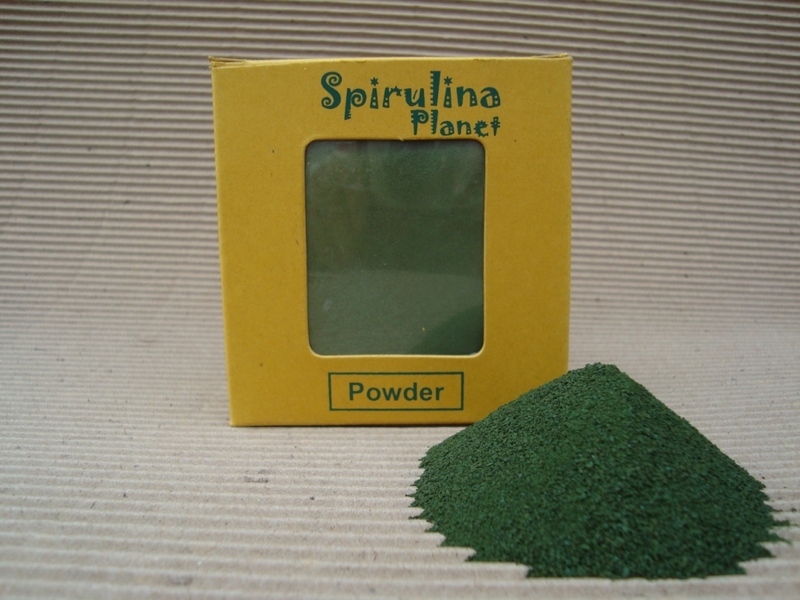 Common variety of spirulina. Very enjoyable in drinks, smoothies, yoghurt, and added to foods. Excellent for face masks too. This bag holds ten 100 gms packages of spirulina powder. Save over 10% if compared with individual products.